Employers aren’t always open about which systems are in place but candid honesty could be more effective, according one expert. Fraudulent activity may be underhanded in its nature but prevention and detection tools don’t have to be – in fact, one industry expert says employers should be open and honest about any systems they have in place. “As somebody with a background in fraud detection and fraud investigation, I think one of the mistakes we can make as practitioners is being secretive when looking at data,” says Dan Zitting, a former auditor with Ernst and Young. According to Zitting – who is now chief product officer with global software firm ACL – organisations are increasingly turning to data analytics to track anomalies and detect fraudulent activity but many don’t tell their workforce they’re doing it. Zitting says informing employees about any detection tools in place will help undermine one of the major pillars which make up the fraud triangle – opportunity. 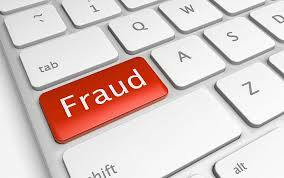 If an employer can convince staff that there is no opportunity to commit fraud without being detected, one of the key pillars will collapse.